Sick of your pine tree or palm tree? Arrange with Sydney Tree Removals to come out to the Marsden Park so we can calculate your pine tree removal cost, or palm tree removal cost. We provide free tree removal quotes for those who have council tree removal permit approval or council tree pruning permit approval. 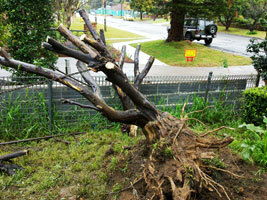 For your tree services throughout the Marsden Park contact Sydney Tree Removals to have your trees removed safely! We are qualified arborists who work in the Marsden Park using the latest techniques and equipment to ensure that your Marsden Park tree and stump removal service is a success. We work confidently at any height, in confined spaces, near power lines, or over buildings and near structures. Our training enables us to lower branches over houses and pools in ways not to damage infrastructure. Our qualifications permit us to operate and use cherry pickers (boom lifts). 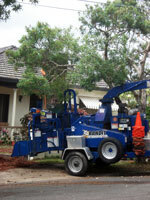 When you need professional tree services for the Marsden Park, you need Sydney Tree Removals. Did you know you can be fined and taken to the Land and Environment Court for illegally removing a tree in the Marsden Park region? If you are having difficulty with your local council's removal permit or understanding your council's tree preservation order - we can help identify trees, palms, or branches for removal or pruning. We can even help you get a tree removal permit for Marsden Park. 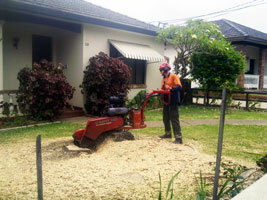 All our tree pruning in Marsden Park is carried out in accordance with Australian Standards (AS 4373-2007). This ensures that the best industry practices are used on your tree and you can be confident in our workmanship.